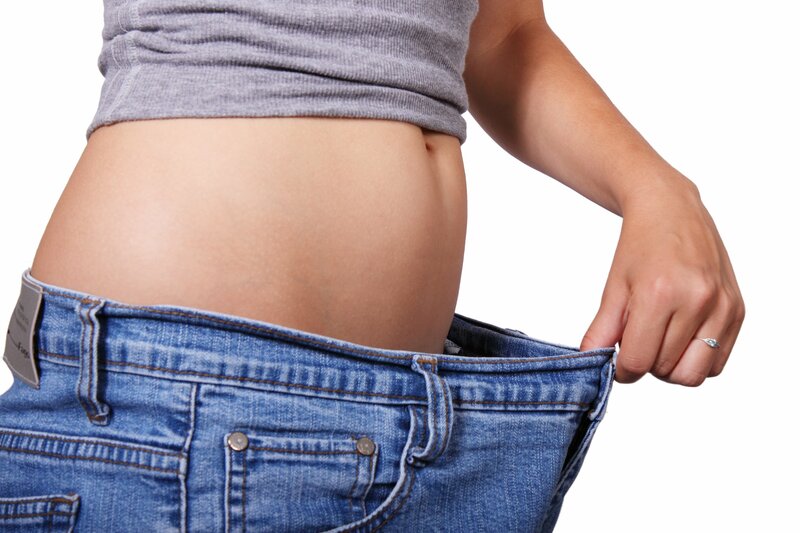 With thousands of patients being helped in losing weight successfully in New York, W8MD gets many great reviews of our unique medical weight loss program in NYC. Here is a sample of the weight loss program reviews. FANTASTIC program! Truly a life changer! The first several months I lost on average 3 pounds a week. I have now lost 87 pounds in 10 months and I’m still losing! I can say it feels almost effortless, for with the elimination of most carbs plus the medication I have ZERO cravings and minimal hunger. My cholesterol, blood pressure, and blood sugar have all returned to normal having previously been considerably elevated. I look and feel twenty years younger (I am 57.) Staff is friendly and supportive, and the science works. I did not think that I would be able to achieve such results, and certainly not in less than a year. 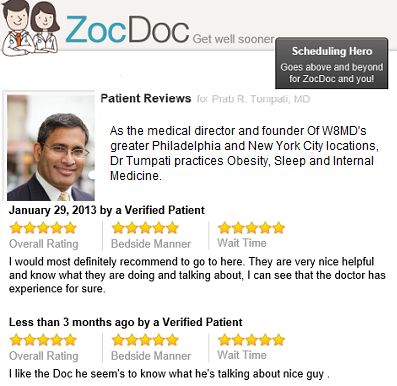 I am amazed at my success, and I could not have done it without Dr. Tumpati and W8MD. D.M. – *Individual results may vary. I would most definitely recommend to go to here. They are very nice helpful and know what they are doing and talking about, I can see that the doctor has experience for sure. – Carol Ann. *Individual results may vary. “I like the Doc he seem’s to know what he’s talking about, nice guy” Anonymous Patient on Zocdoc *Individual results may vary. I was referred by a friend and it was the most helpful medical referral I received in years. I will be going back to discuss other concerns very soon with the Doctor. My results were noticeable immediately in various health areas even to my primary doctor. – Anonymous Verified Patient *Individual results may vary. I HIGHLY RECOMMEND DR. TUMPATI. IF YOU FOLLOW HIS INSTRUCTIONS, YOU WILL DEFINITELY SEE RESULTS. HE IS VERY KNOWLEDGEABLE IN HIS FIELD. Anonymous Verified Patient *Individual results may vary. I lost 75 pounds in 3 months, and my friends are saying “when is the rest of you coming?”. 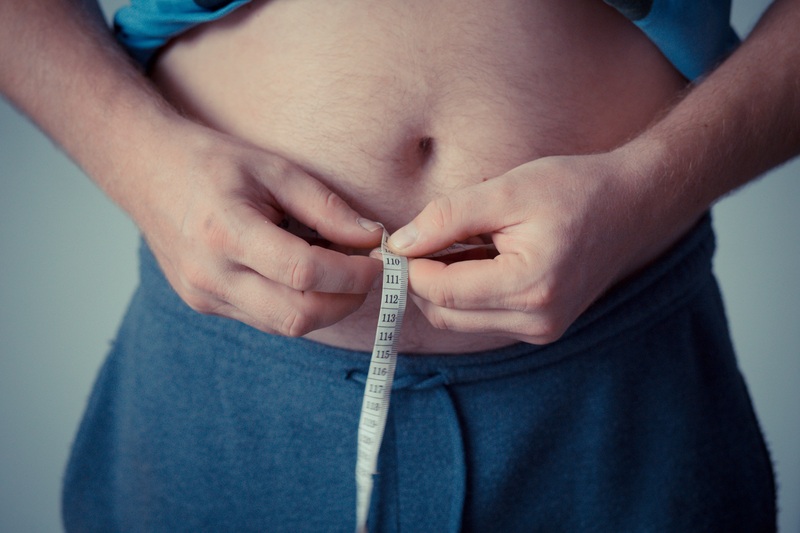 My doctor could not believe my blood work and some people wonder whether I had secret bariatric surgery when I had none” – Carl L.